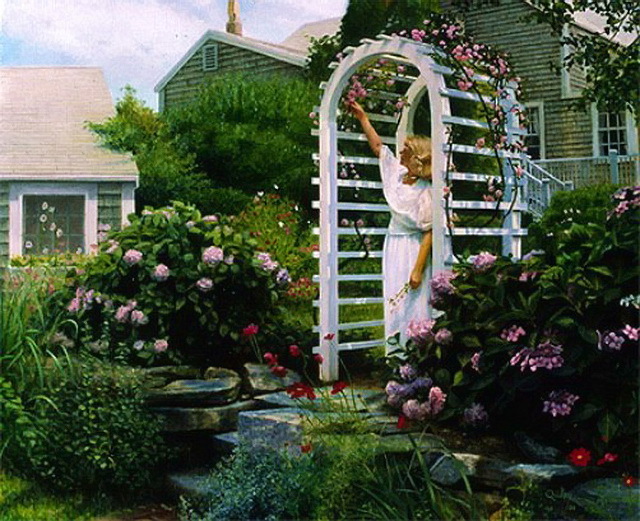 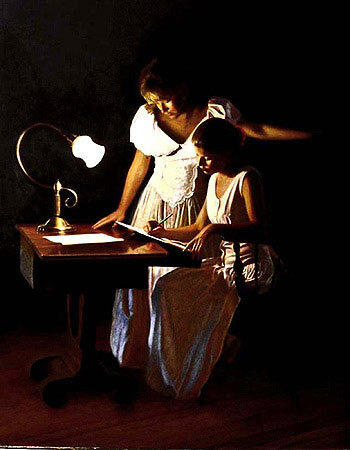 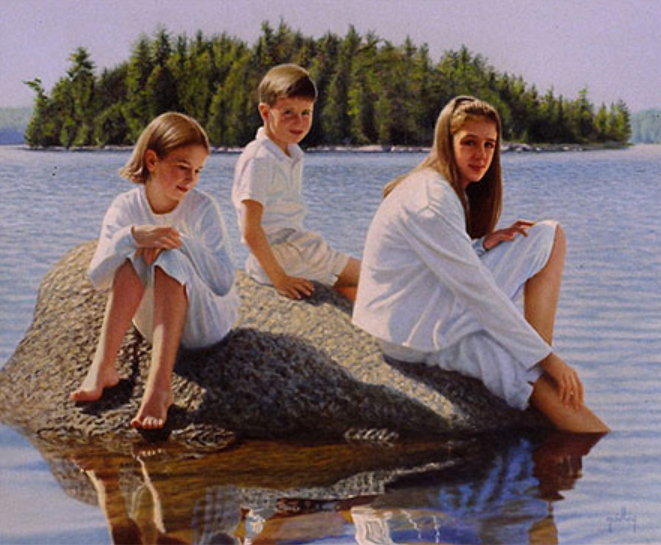 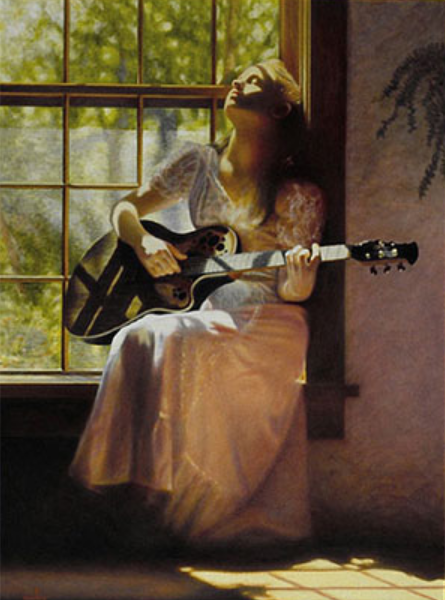 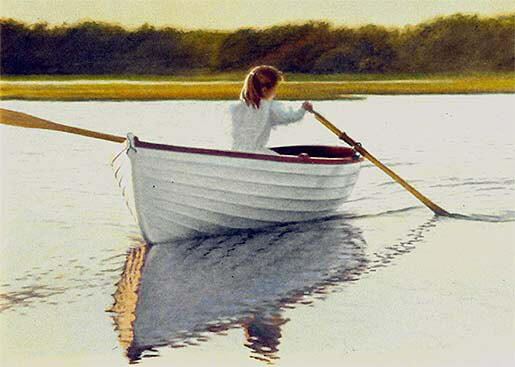 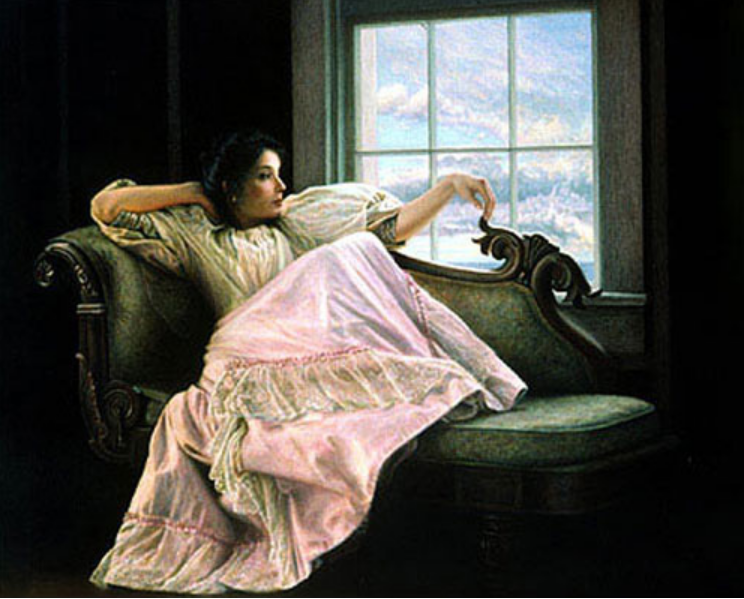 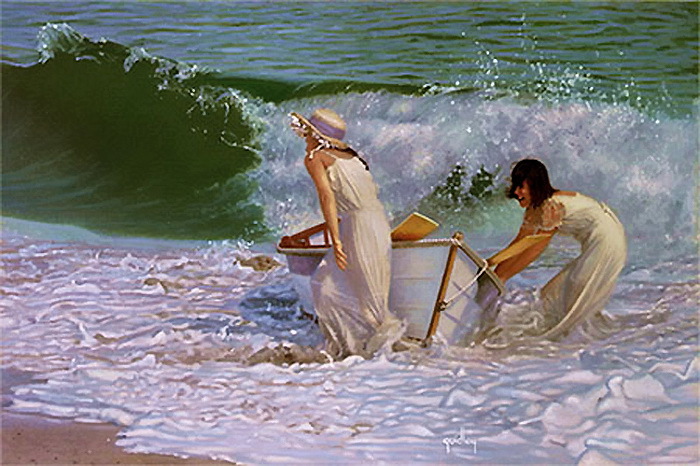 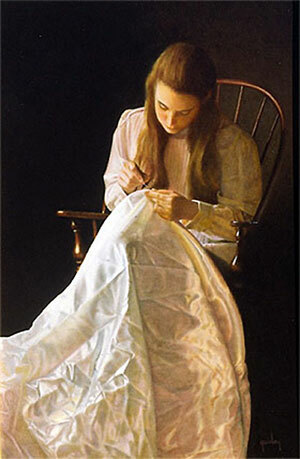 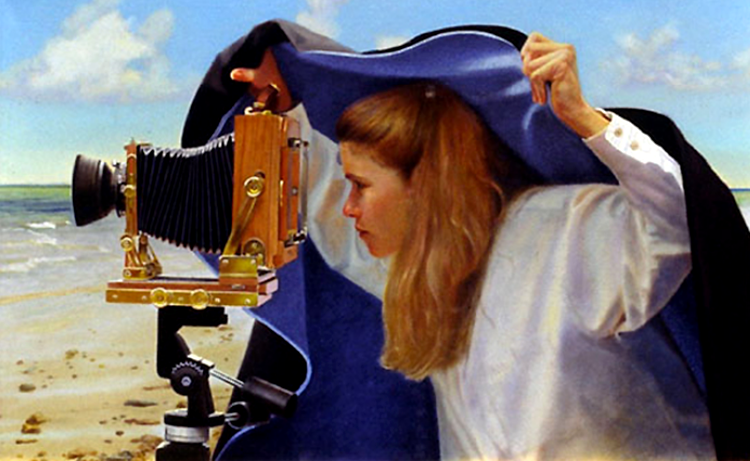 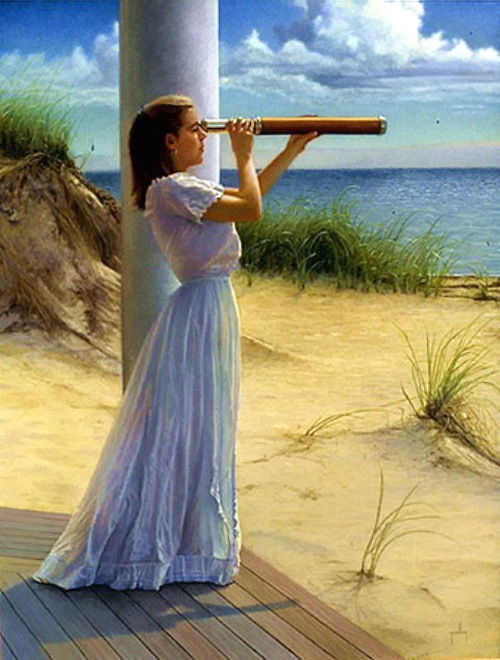 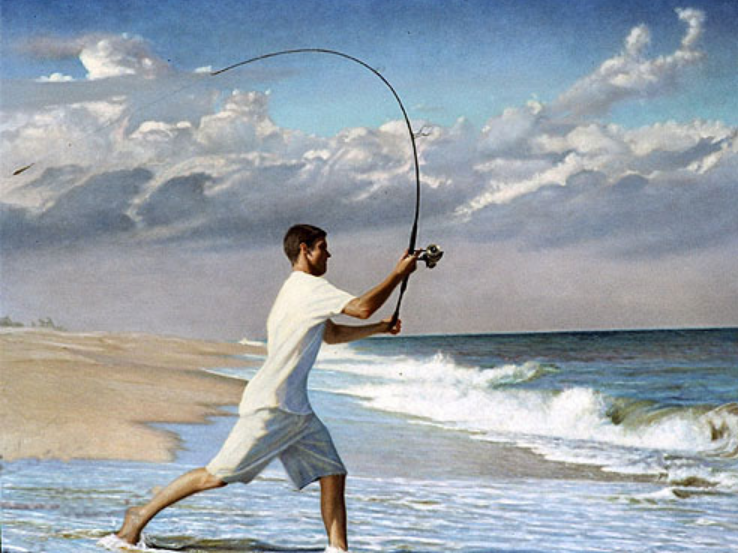 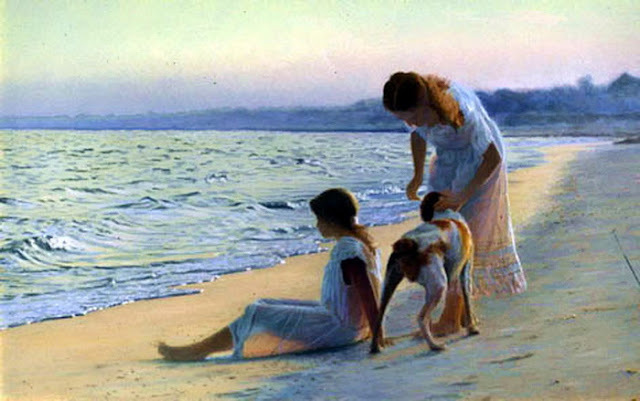 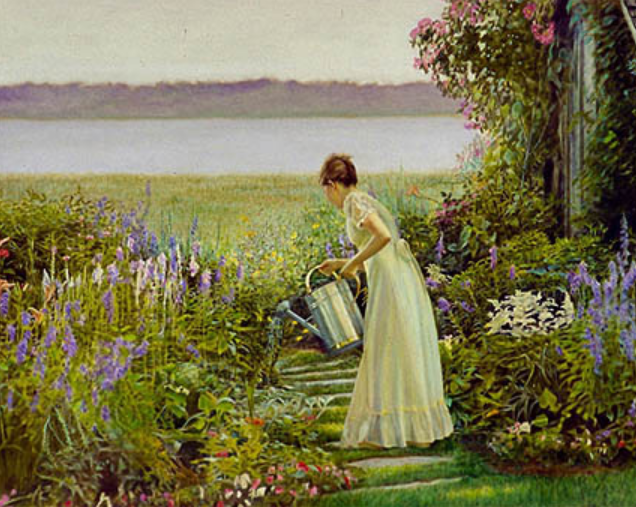 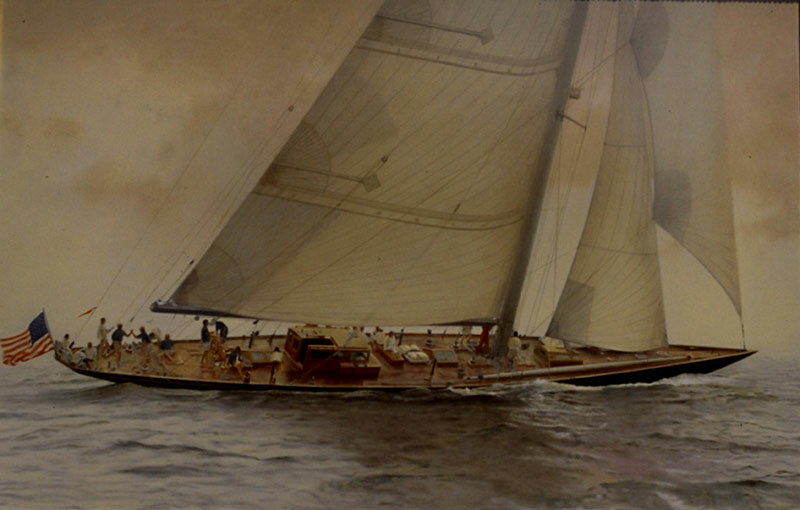 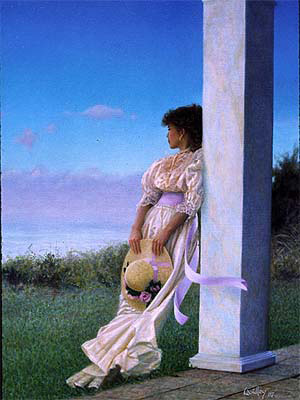 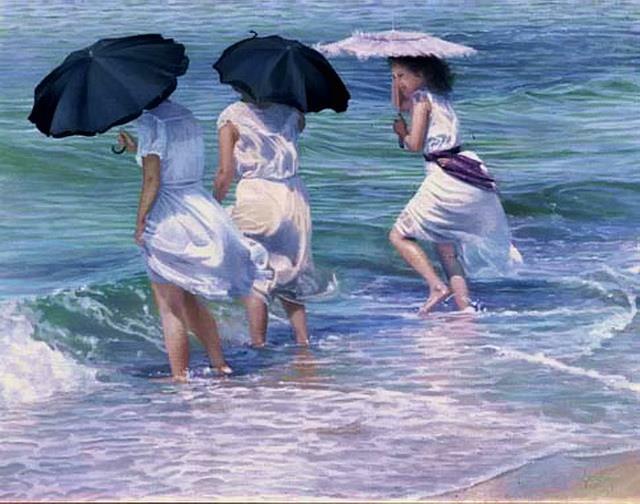 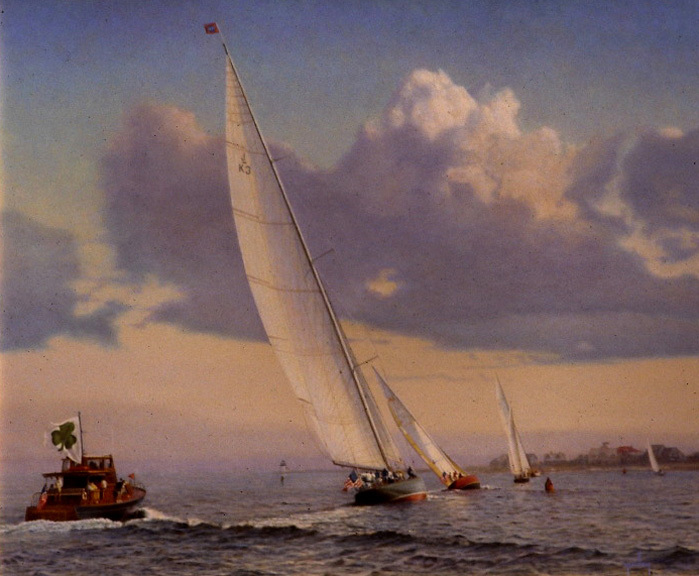 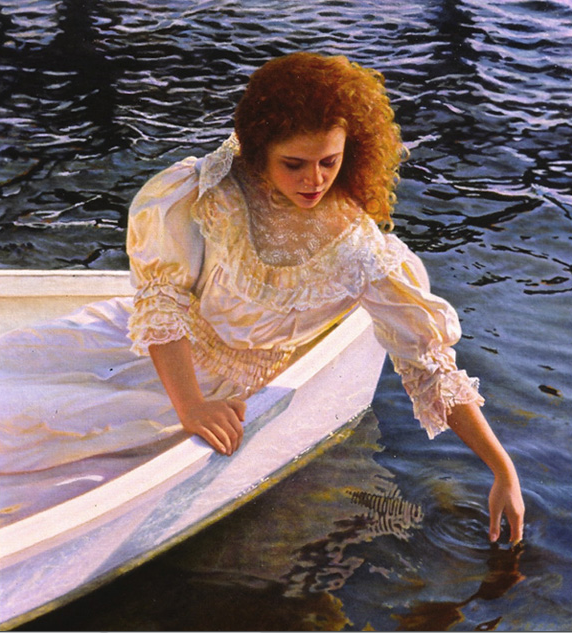 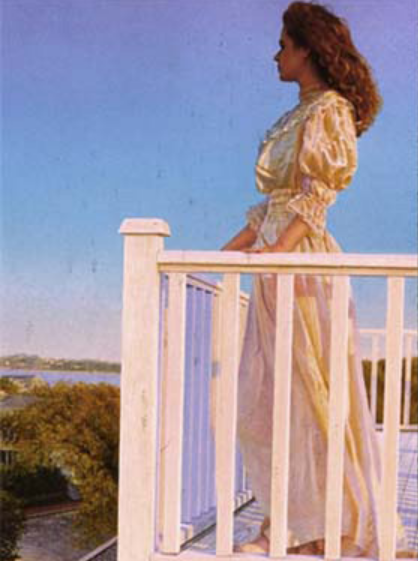 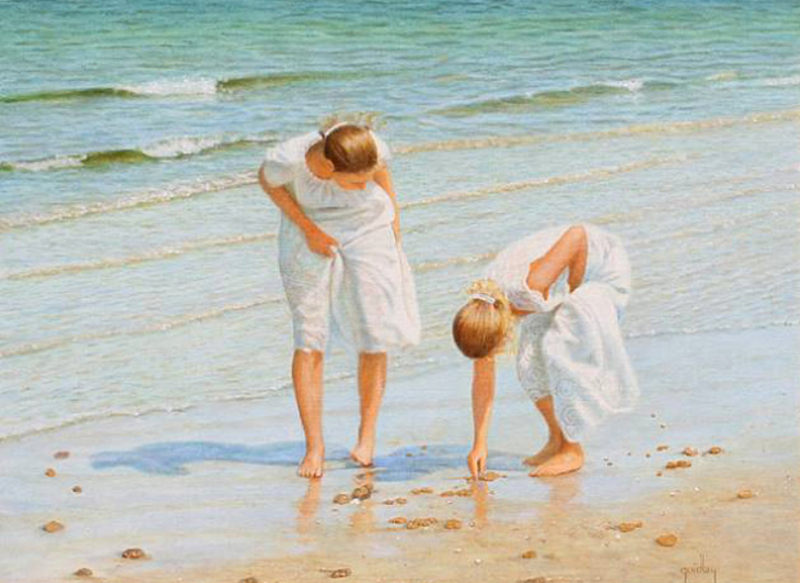 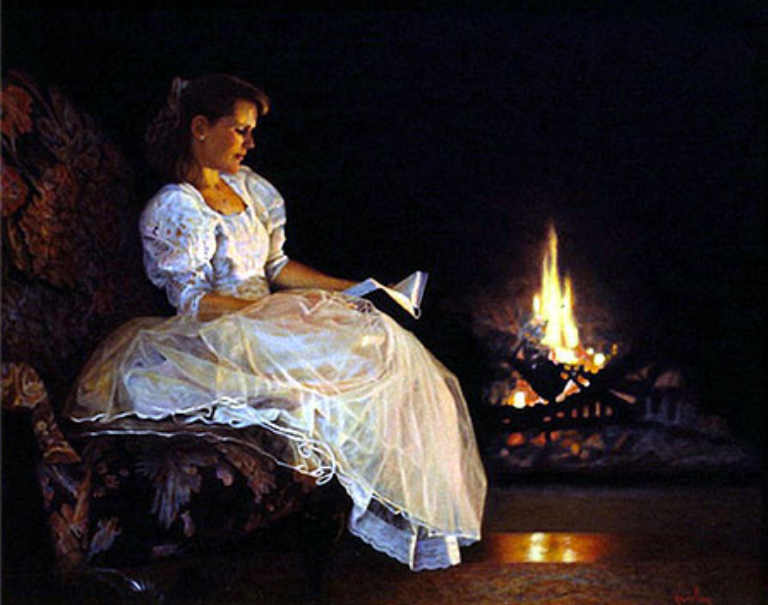 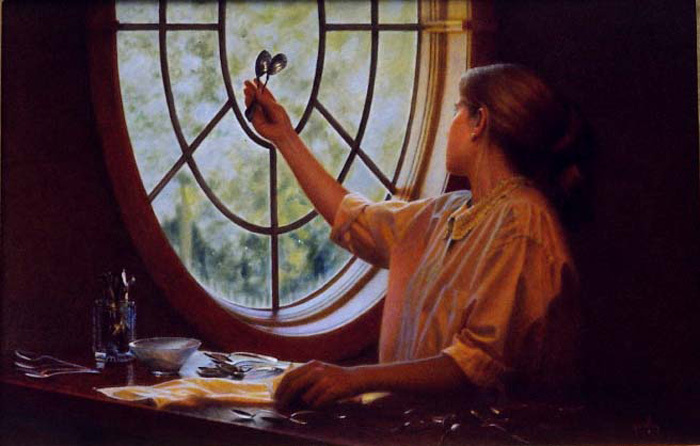 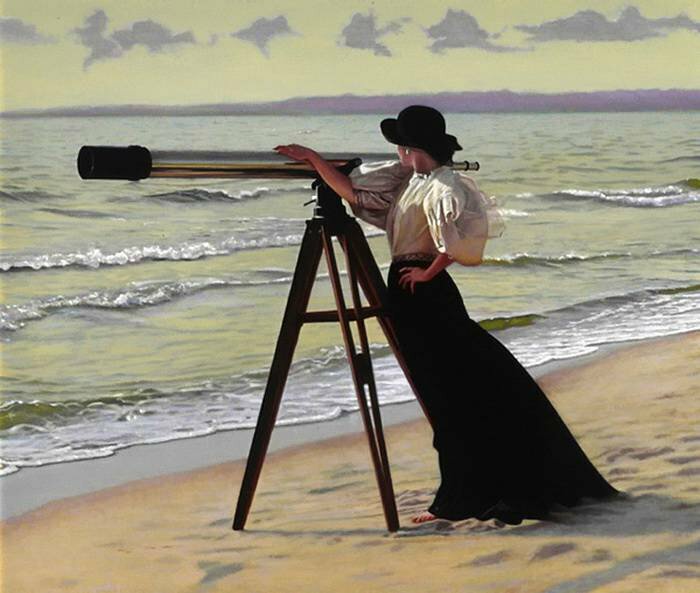 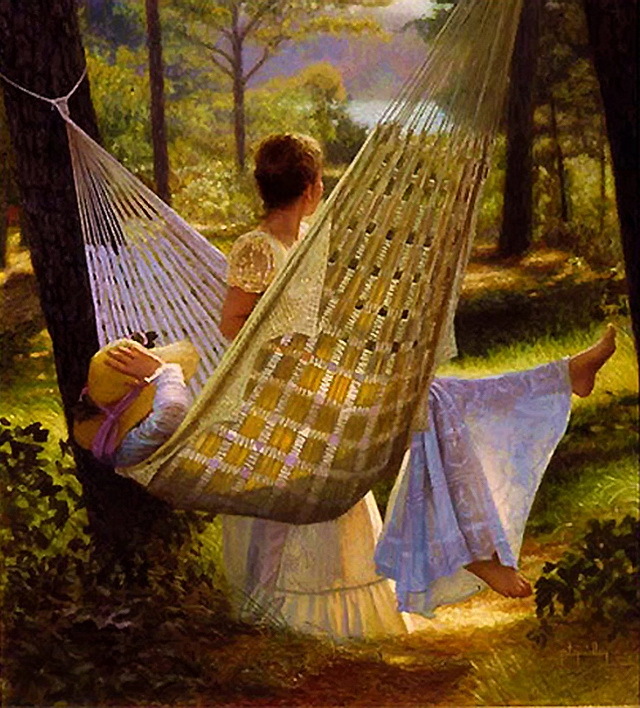 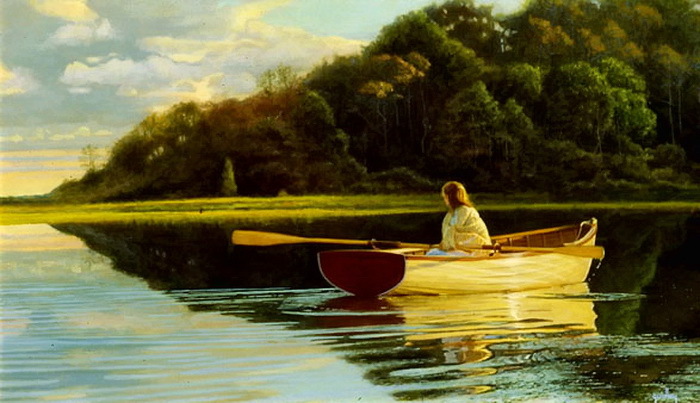 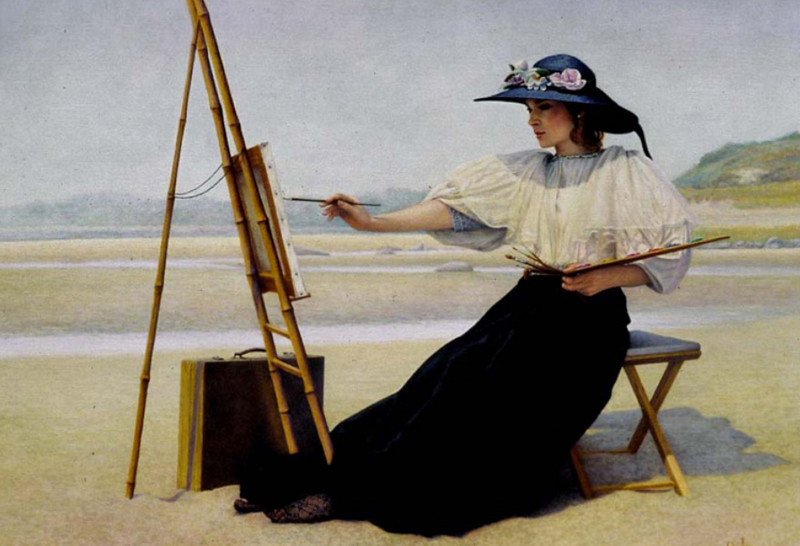 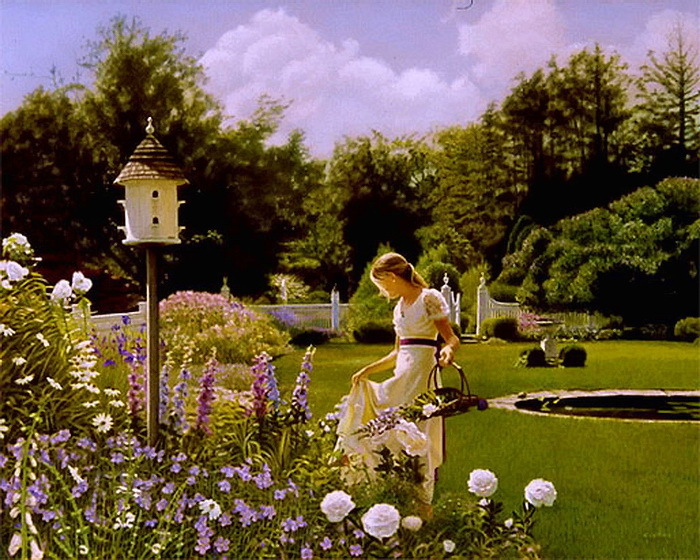 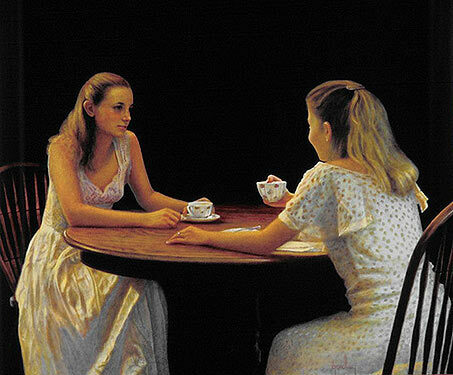 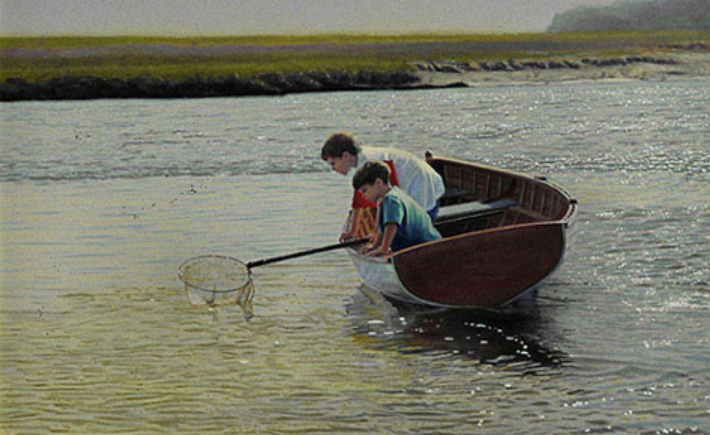 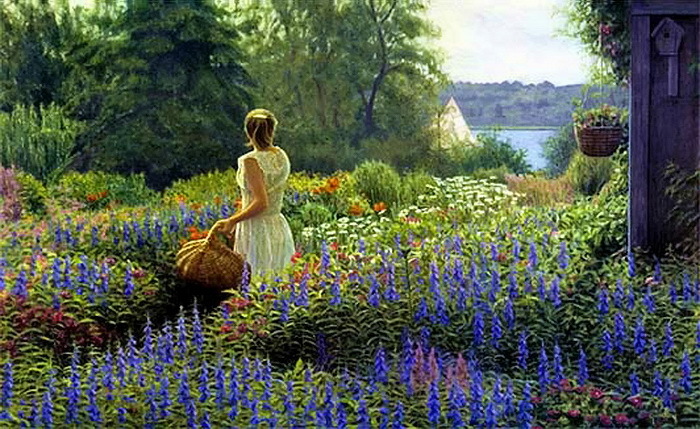 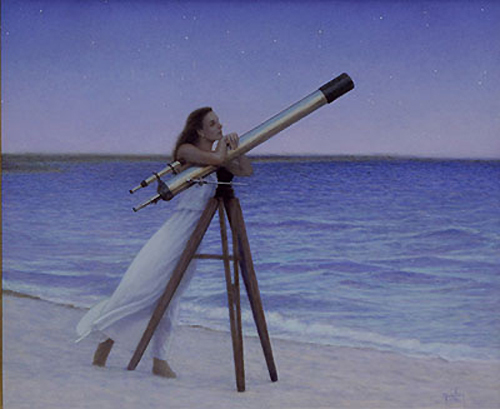 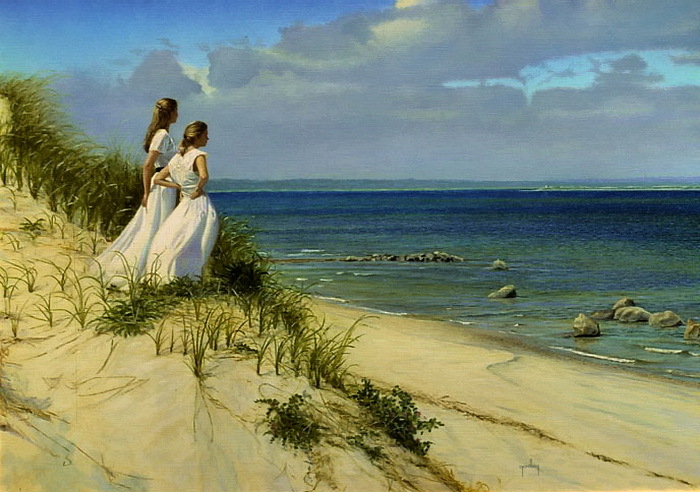 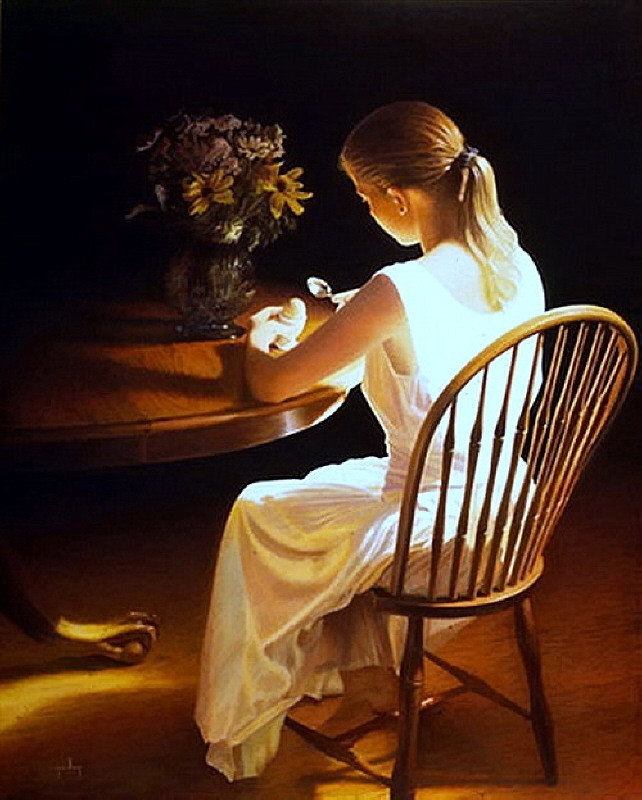 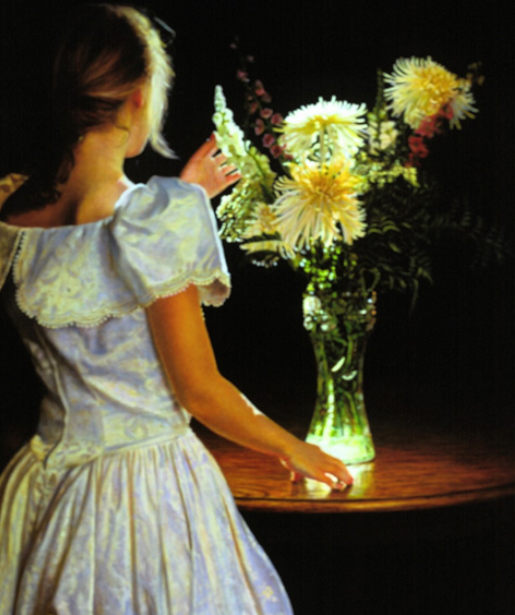 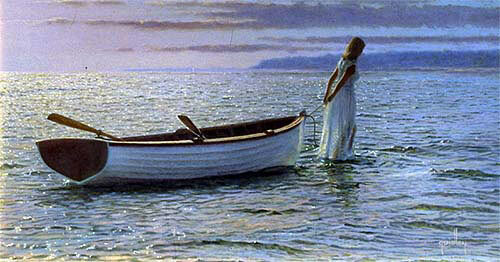 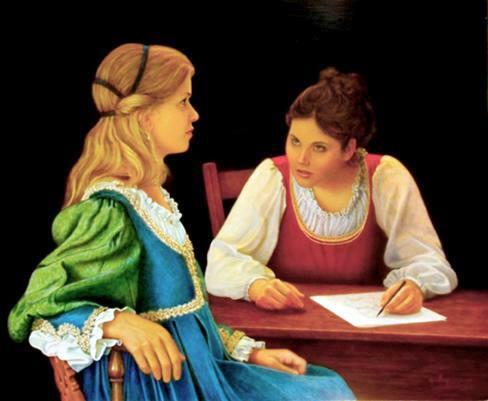 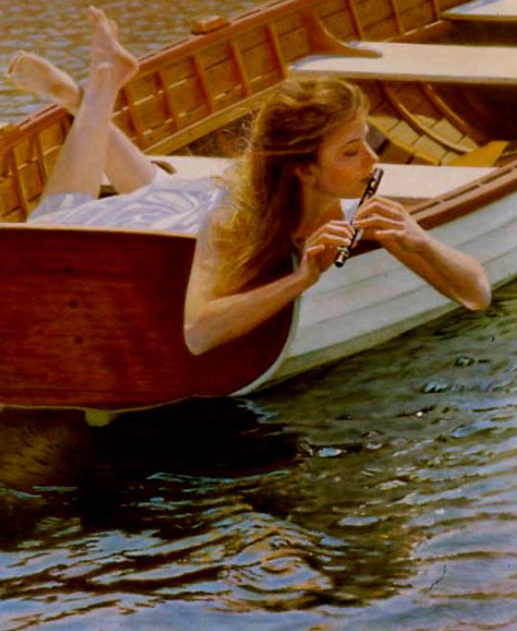 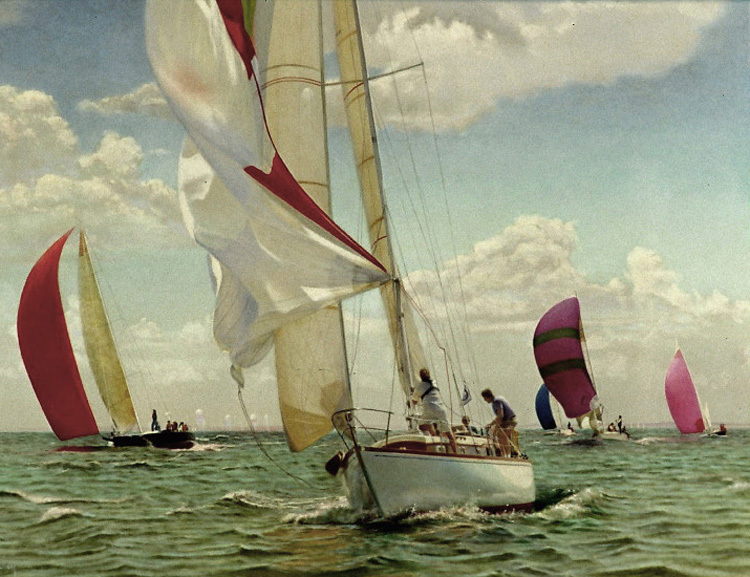 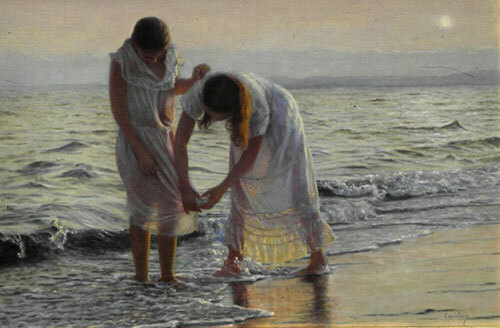 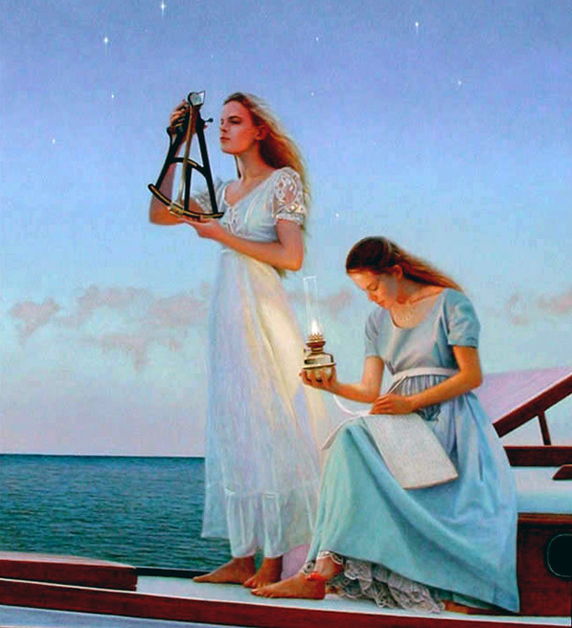 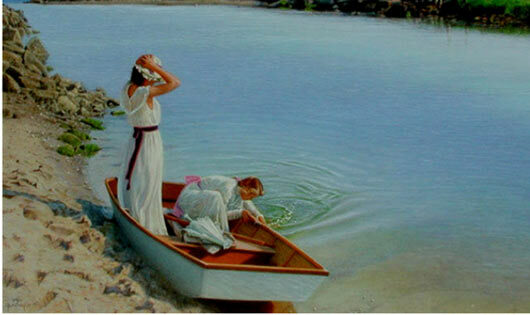 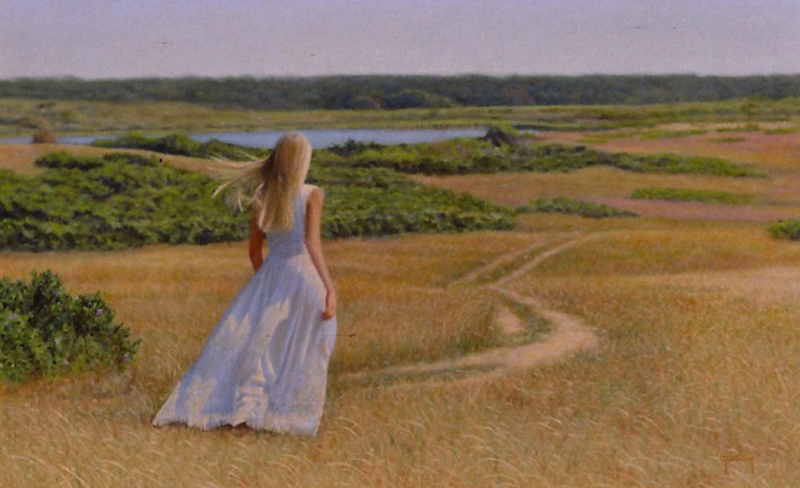 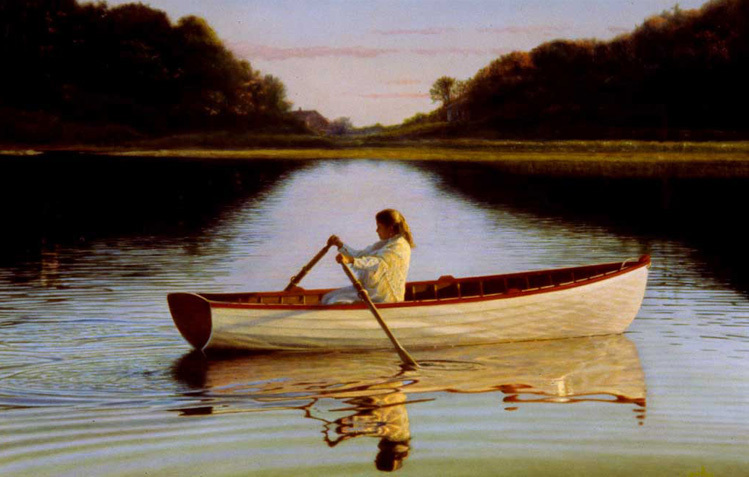 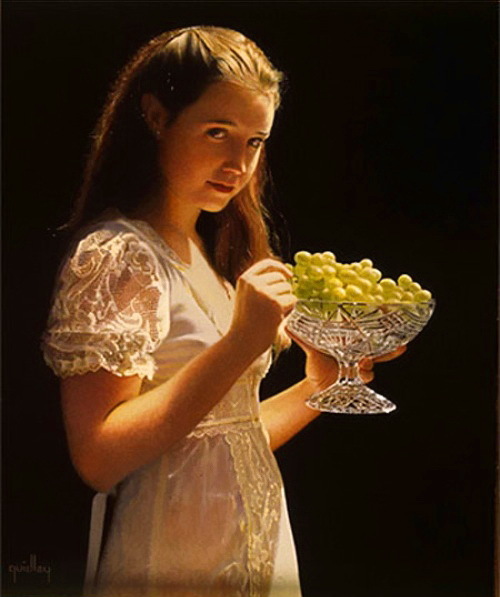 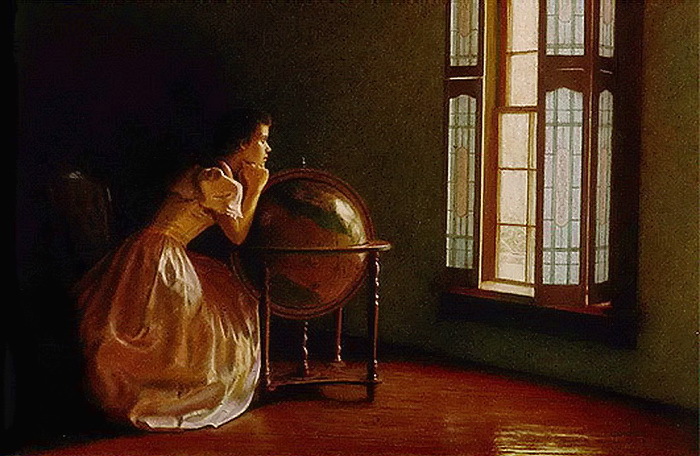 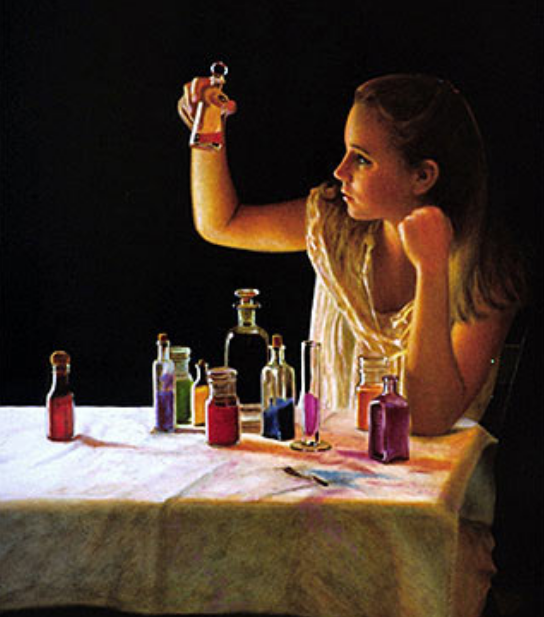 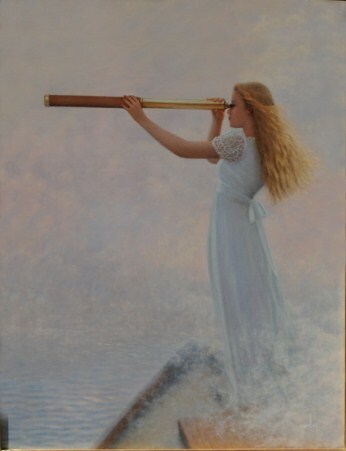 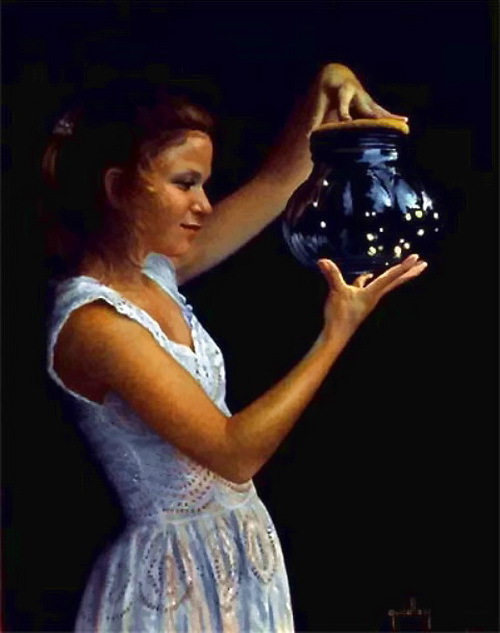 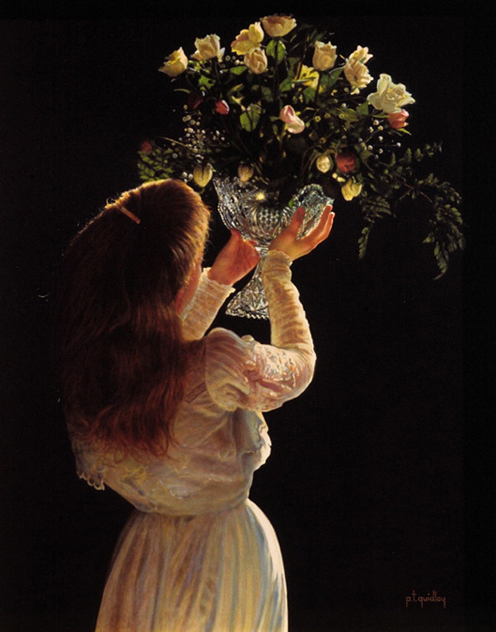 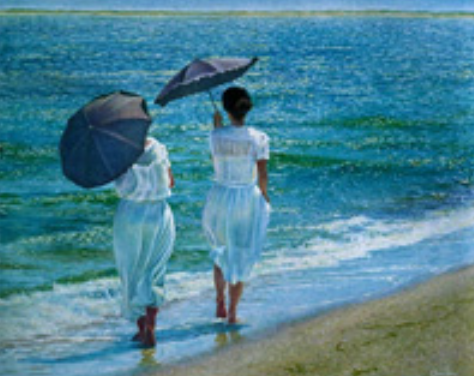 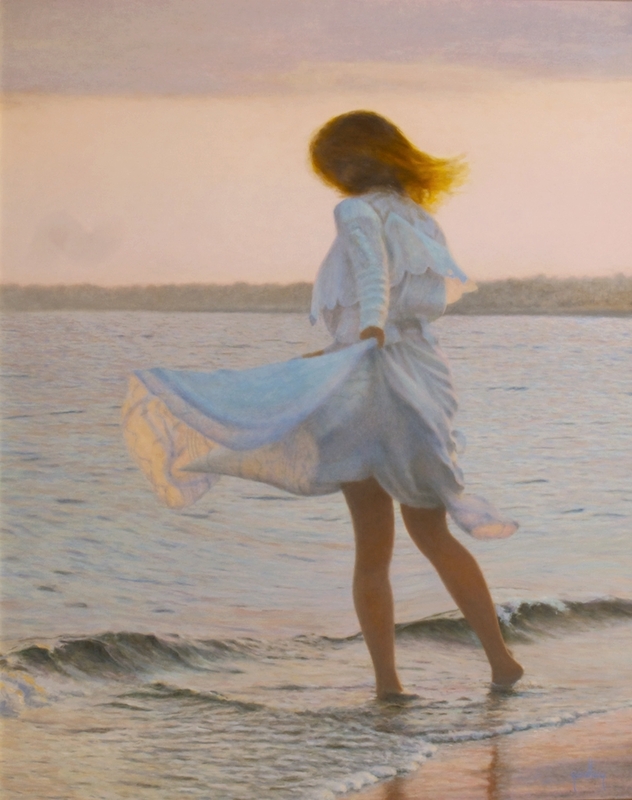 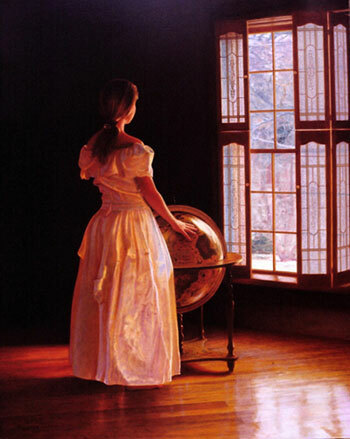 Peter taylor QUIDLEY was born on Boston's Beacon Hill in 1945 and spent his college years taking drawing classes. 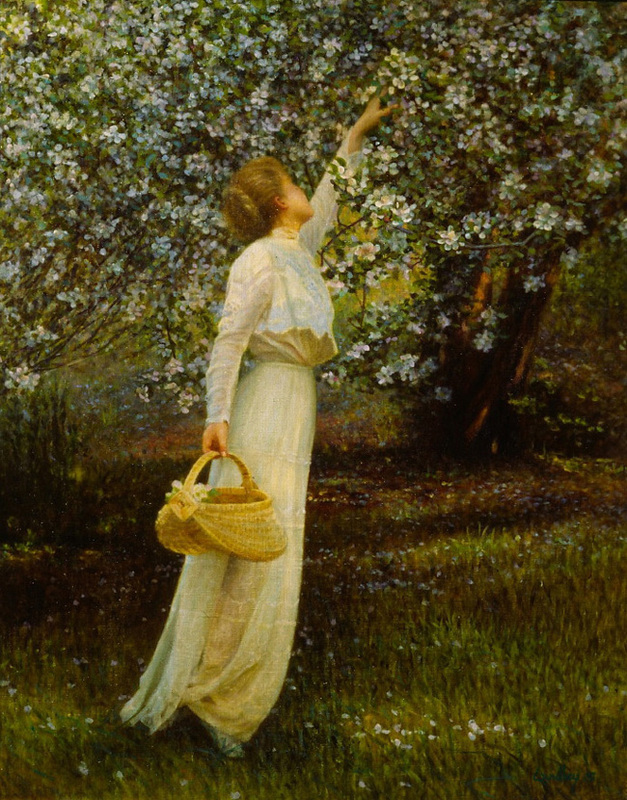 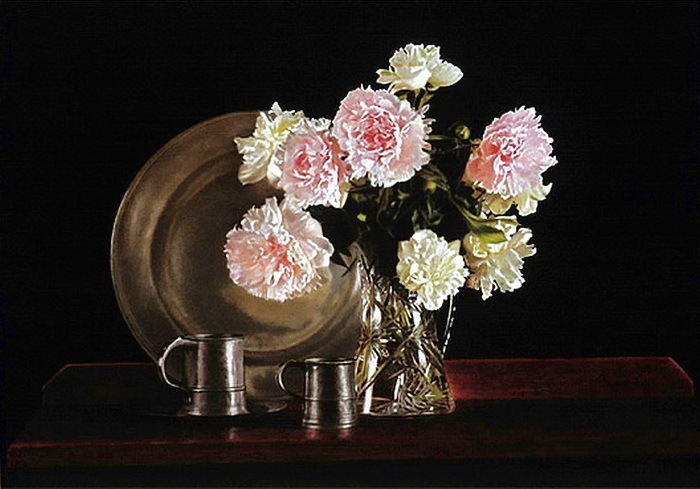 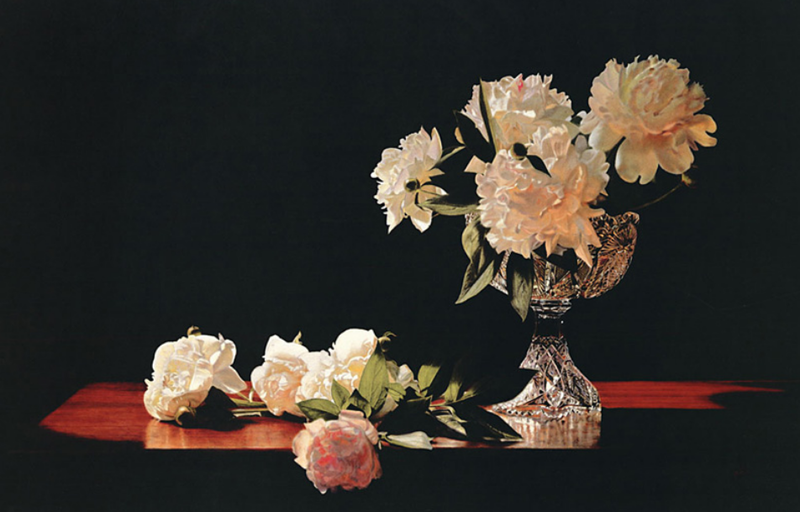 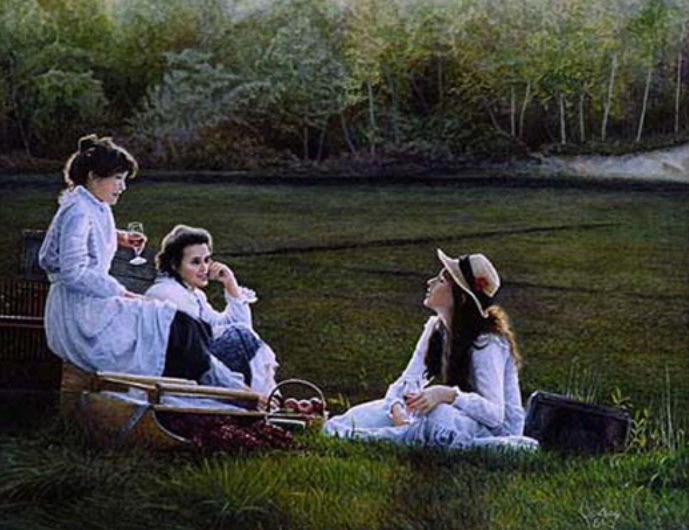 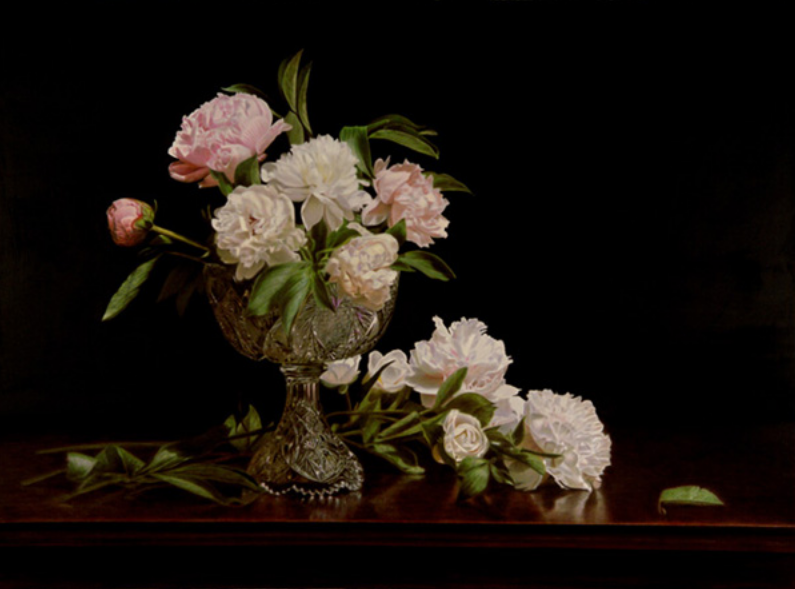 A self-taught painter, Quidley, over the past 29 years of painting, has captured a timeless period, one that will remain classic through the ages. 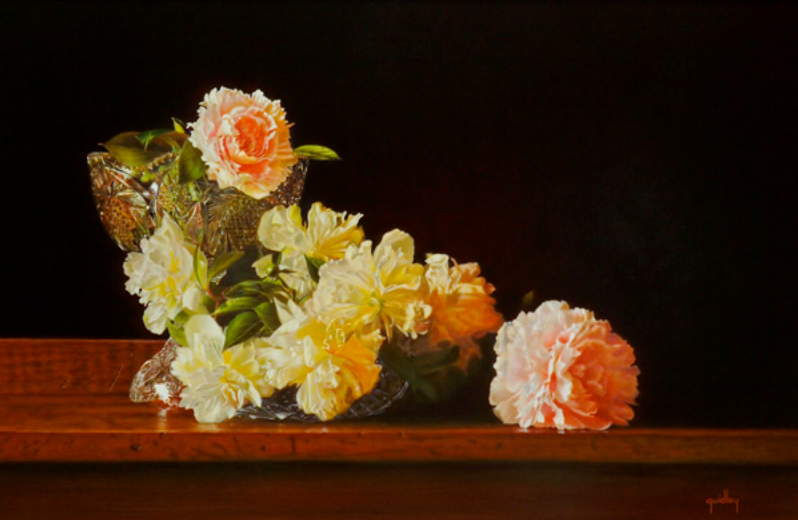 From grinding some of his own pigments and the panels he uses, to the gold leaf water gild frames that are carefully chosen, Quidley's goal is to create a painting of quality, beauty, and permanence. 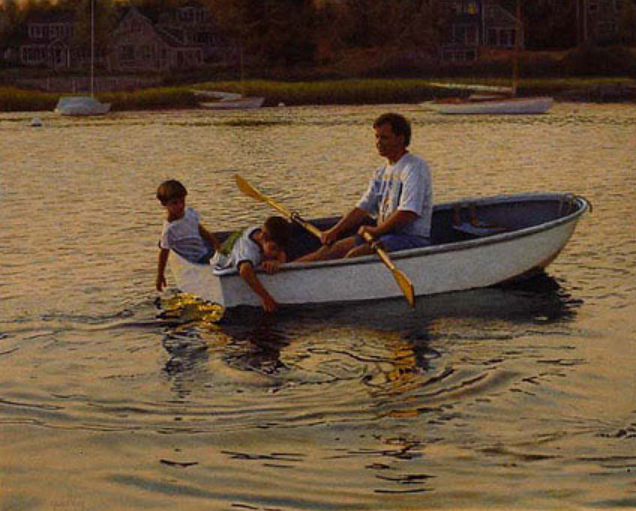 Living on Cape Cod since 1980, Quidley has developed a strong family business that involves his wife who frames, his son who manages the business, and his daughter who models. 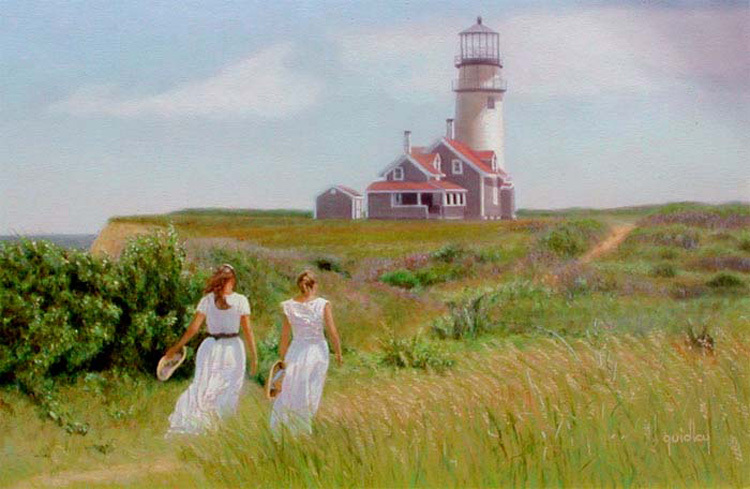 He had a solo exhibition at the Cape Museum of Fine Art in Dennis, Massachusetts last year, he is a Copley Master, and a member of many affiliations. 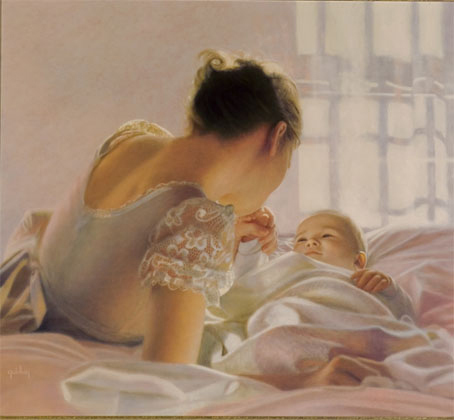 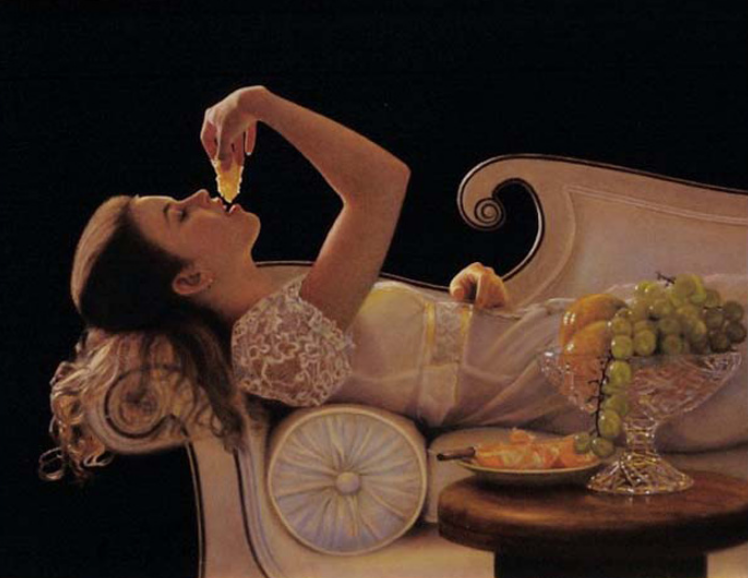 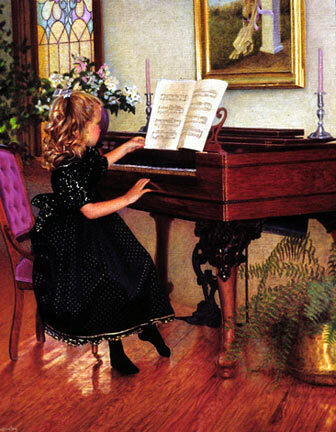 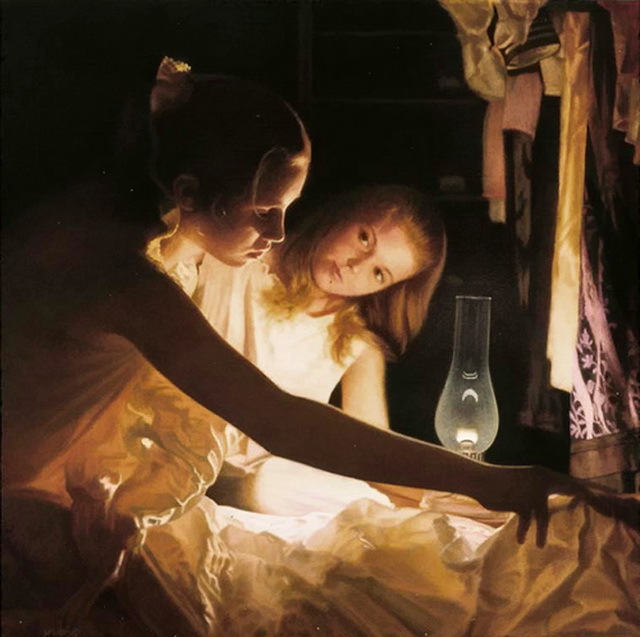 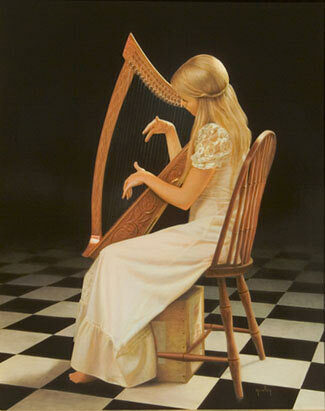 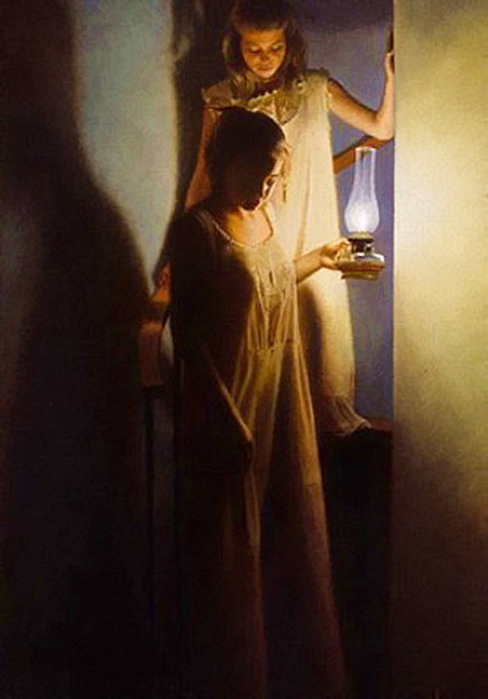 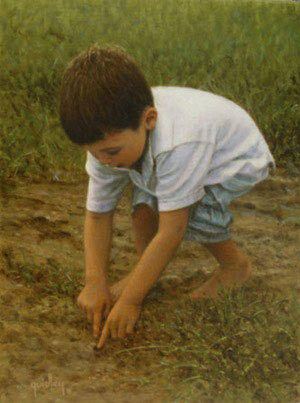 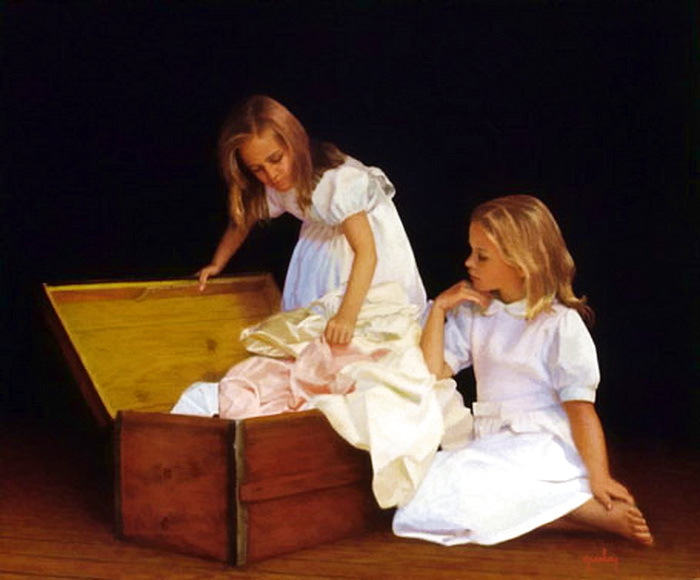 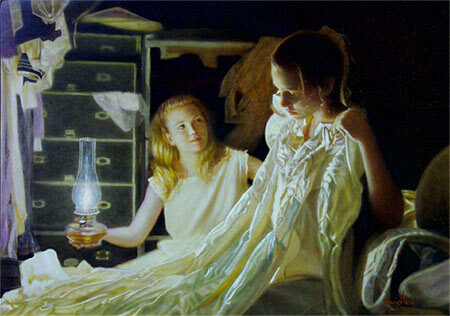 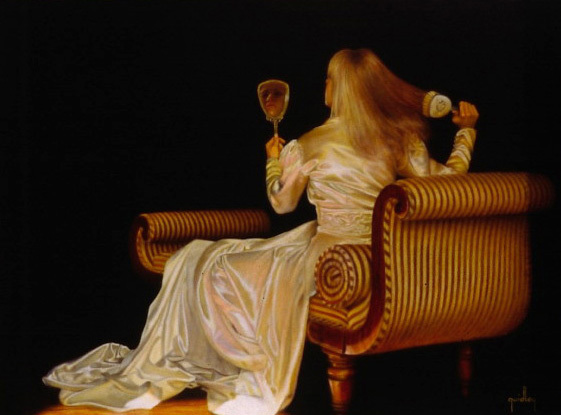 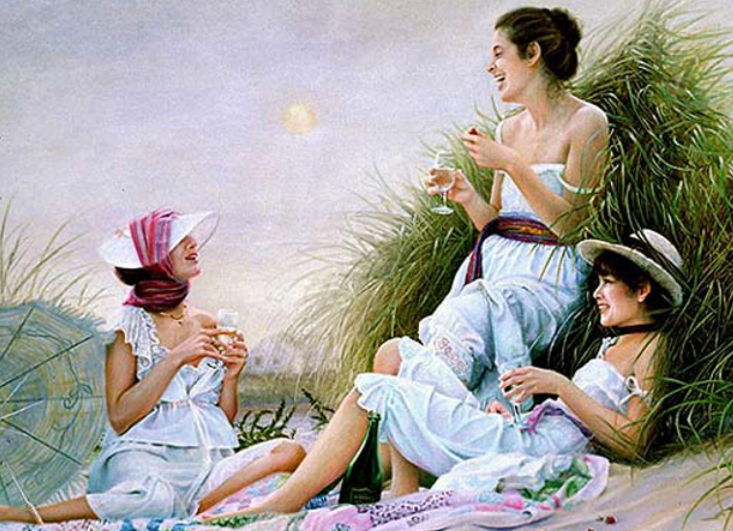 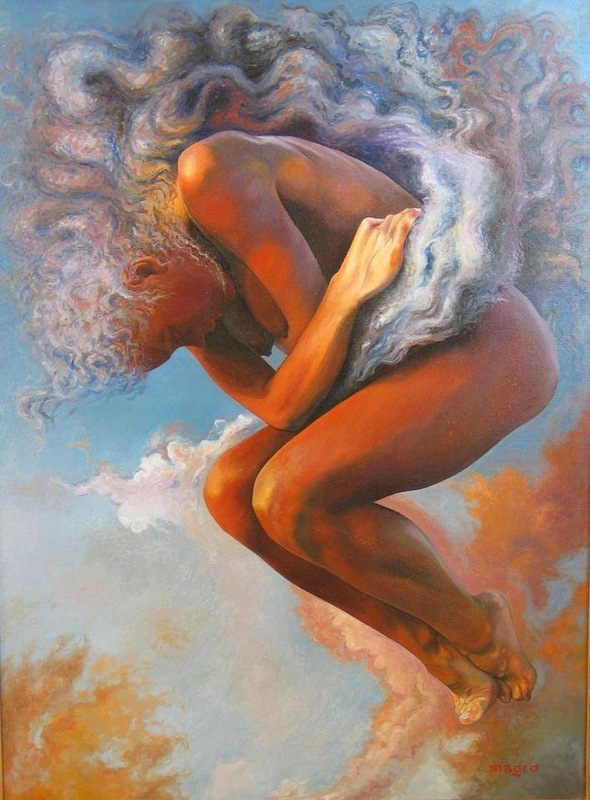 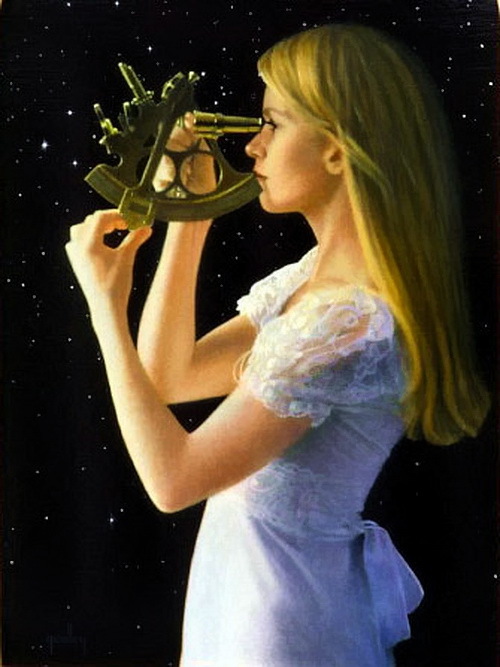 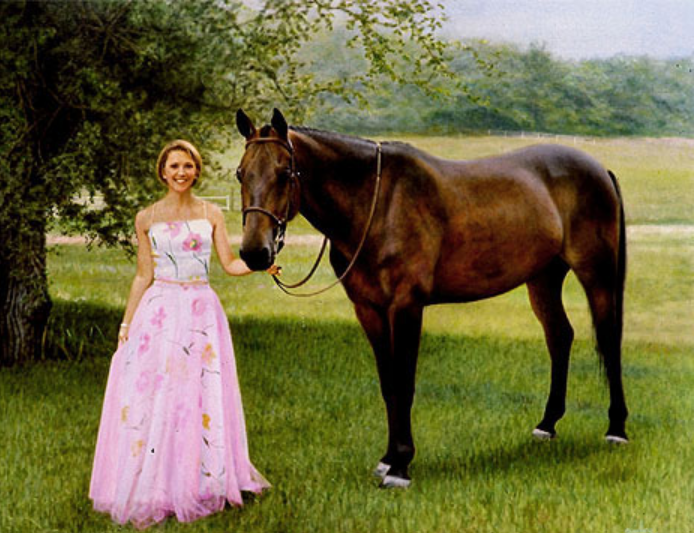 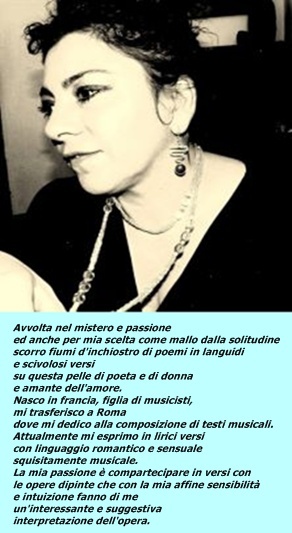 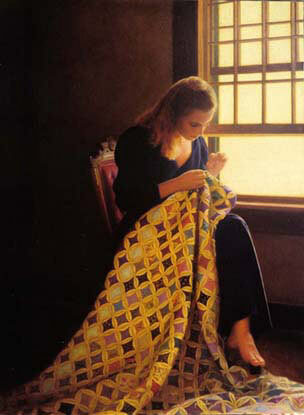 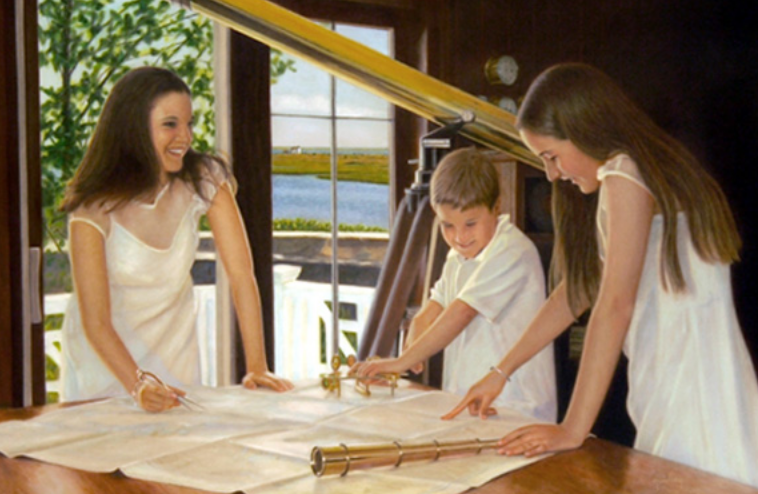 The artist does select work on commission and is a renowned portraitist. 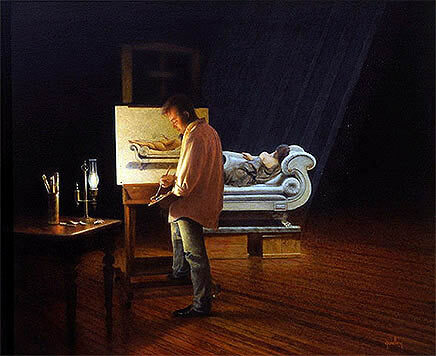 As an added touch, Peter often adds the actual brushes used to create the painting to the back of the finished piece.Due to the painting process that Peter utilizes, he is only able to paint 8 to 12 paintings per year.